When I retired from my real job in 2007, I looked forward to a life of doing whatever I wanted. I knew a big part of that would include working in my shop and making things. It's been a lifelong passion. Then my interest in saws came along -- first in learning to sharpen saws, then in restoring saws, and finally in building saws. It's been a lot of fun and a very interesting and educational experience. I'd like to think I've gotten pretty good at it, but though I strive for perfection, I know that's an unachievable goal. At least for me. The mixed blessing of saw making is as my skills have been polished, and as word about my saws has gotten out, more and more people want my saws, That's the up side. The down side is that as more and more people want my saws, I have less and less time for anything but making saws. In essence, it has become a full time job for this old feller who just wanted to retire and have fun playing in his shop. I am astonished by the demand for good saws. With the big name saw makers like Disston now long gone, there simply aren't enough of the small custom saw makers around to meet the demand. I could easily see my saw making "job" expand until I had a long waiting list and needed to hire people to help me catch up. I think most of the other custom saw makers have been down that road, and I don't want to go there. So, as much as I appreciate those who like my saws and want to own one, I'm going to have to make some changes. Starting now, I will no longer accept custom saw orders. I will, however, continue to accept saw restoration and sharpening requests, since those activities don't seem to come in as large a volume or take up as much time as custom saw making orders. You may ask, "Are you going to completely stop making saws, and what are you going to do with all that time you'll have"? The answer is no, I'll continue to make some saws, and some of those will be for sale. I'll just be making the saws I want to make, and at a more comfortable pace. I need to finish my two sets of 12 matching heirloom saws that I started a couple years ago but am only 1/4 the way through. I also want to make reproductions of some historically significant antique saws. And then I also have a backlog of other woodworking projects that I'd like to make some progress on. I don't see myself just sitting on the porch in a rocking chair just yet. Thanks again to all of you who have appreciated and supported my saw making and restoration efforts. May you all have a happy and blessed New Year. 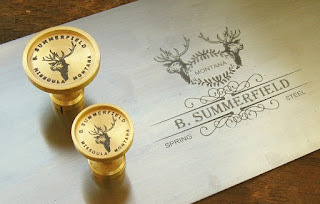 So excited and grateful to have the Summerfield table saw in my NotWallHung! Thanks for your continued contributions, Bob!